With the Ennahdha party in power, women’s rights are particularly under threat. Bochra Bel Haj Hamida, a lawyer and co-founder of Amnesty International Tunisia. Despite the recent political chaos in the country, Tunisia cannot be written off as a potentially failed state. Behind the scenes, citizens — especially women — are keeping Ennahdha, the Islamic party ruling in a coalition with two secular parties, from slipping into extremism. The country was thrown into turmoil late last month after the second assassination of an opposition leader by a suspected hardline Salafist. Mohammed Brahmi, a member of the National Constituent Assembly and member of the Popular Movement Party, was, according to Interior Minister Loutfi Ben Jeddou, killed by the same weapon used on Feb. 6 to kill Chokri Belaid. Both opposition leaders, who were strong critics of the ruling Islamist Ennahdha Party, were part of the same leftist coalition. On Friday, opposition members rejected dialogue with Ennahdha, saying the government must resign before any negotiations begin. Opposition leaders say they are pushing ahead with plans for a rally Saturday outside the National Constituent Assembly building in Bardo, a suburb of Tunis. The rally will kick off a week of protests that organizers are calling “Rahil,” or departure week. International Women’s Day this year saw hundreds of gatherings to celebrate the accomplishments of Tunisian women and the continuing fight for equal rights. La Presse, one of Tunisia’s key French newspapers, highlighted the invaluable role women have been playing in the development of post-revolution Tunisia. The World Social Forum, held in Tunis during the spring, was mostly organized by women from the Tunisian Association for Democratic Women, the Association of Tunisian Women for Research and Development and the Tunisian League for Human Rights. Today, more women than men are graduating from Tunisian universities and women occupy posts in politics, academia and business as well as in dynamic non-government organizations (NGO). In the elected National Constituent Assembly, 26 per cent of the members are women. Women’s rights legislation introduced in 1956 by Habib Bourguiba, the first post-independence president, gave Tunisian women a head start in the Arab world. And when Ennahdha proposed Shariah law as the basis for a new constitution, a huge protest by women led to the party’s withdrawal of the proposal. As issues arise, protest groups — including female judges, lawyers, doctors and leaders of technology companies — march peacefully to effect change. We want women to be aware of their rights, to get on voters lists, for example, and learn about the policies of the various parties," says Essma Ben Hamida, co-director of Enda Inter-Arabe, a Tunisian microcredit organization that since 1995 has helped lift more than 400,000 clients, mostly women, out of poverty through loans for businesses and financial training. Eager to break barriers, Ben Hamida is a leading proponent of social and economic justice for women in post-revolution Tunisia. With her husband, Michael Cracknell, she directs Enda Inter-Arabe, a Tunisian microcredit organization that since 1995 has helped lift more than 400,000 clients, mostly women, out of poverty through loans for businesses as well as financial and business training. She responded to the country’s unemployment crisis by offering a special loan program to young people for enterprises larger than most microcredit schemes. “Over 2,000 entrepreneurs, half of them women, took loans for hairdressing, dressmaking, restaurants, grocery stores, pizza shops, taxis and for call centres, computer shops and daycare/tutoring services,” she said. To promote democratic practices, she works with other NGOs and offers civic education coaching to Enda clients in local communities. A former international journalist specializing in development issues, Ben Hamida is also a founding member of Sanabel, a Cairo-based microfinance network of 83 members from 12 Arab countries. In her view, the Arab world will be saved by its women. In an interview, she revealed that she was “saved” because of the burning desire of her mother, Saida Ben Hamida, 83, to guarantee her and her four sisters access to higher education. Ben Hamida graduated from a Tunisian university and supported herself by working as a freelance journalist. Later, she became United Nations bureau chief in New York for a Tunisian news agency. After writing for a Rome-based wire service, she returned to Tunisia to launch the country’s first microfinance institution. In 2009, Enda Inter-Arabe was ranked No. 21 of the top 100 microfinance institutions in the world. In 2010, Ben Hamida was named the year’s social entrepreneur at the World Economic Forum for the Middle East and North Africa. This year, she said she intends to split Enda into two organizations — a microfinance company and an NGO providing support services to clients and promoting women’s empowerment. The revolution may not have delivered the changes Tunisians dreamed the government would provide, but behind the scenes it has spurred support for the marginalized from women like Nciri, who runs Enda Inter-Arabe Microfinance’s branch in Sidi Bouzid, birthplace of the Arab Spring. Nciri, 32, knows about poverty. Her mother supported a family of seven by raising animals when her father died after a long illness. After graduating from university with a degree in multimedia, she began working as a credit agent in 2005 when the branch first opened. She supervises 17 loan officers handling 7,000 clients. “I saw the branch as a baby that had to be nurtured because of the 20- to 30-per-cent poverty here in the city and the 40-per-cent poverty in the rural areas,” she said. “In surrounding villages, I went door-to-door working with farm women needing loans to raise animals and to grow fruits and vegetables. “During the revolution, some clients faced enormous problems, but we didn’t abandon them,” she said. One of them was Zaynub Ajmi, 39, mother of two boys ages 11 and seven. “Nciri,” she said, “saved me from economic collapse. Ajmi has a “taxi phone” business that offers public phones as well as cards for cellphones and bottled alcohol, cigarettes and sweets. “I had to start my business,” she said, “because my husband is working in a factory in Italy and it doesn’t pay enough. “One night during the revolution,” she said, “thieves came into my shop and stole stock and money for a total of 4,000 dinars or about $2,600. Named Tunisia's top female entrepreneur in 2009, Sana Ghenima runs a digital publishing house and directs Femmes et Leadership, which helps female university graduates establish careers in Tunisia. Feisty and fearless, Ghenima, 48, runs a digital publishing house and directs Femmes et Leadership, which helps female university graduates establish careers. The mother of two teenage daughters, Sana Ghenima started Femmes et Leadership “to bring women into decision-making, particularly in the public sector where women are blocked. “There are more unemployed female than male university graduates despite the fact that 57 per cent of graduates are women,” she said. To bolster their confidence, the Femmes et Leadership team of 15 highly placed Tunisian women — including a judge, a petroleum engineer, a government civil servant, a lawyer, a marketing specialist and a business administration professor — has been going out to the villages to help motivate and prepare the young women to look for employment. “During the run-up to the election of 2011, our team trained 100 female unemployed university graduates and sent them into the field with brochures designed to encourage women across the country to vote. For young female university graduates, Ghenima serves as an inspiring role model. A graduate from Tunis’s National School for Engineers, she was named Tunisia’s top female entrepreneur in 2009. Her work experience spans the fields of petroleum, textiles, plastics and computers. And, through her company, she has experience in the creation of electronic books, CDs and TV productions celebrating Tunisian history and culture, and focusing on the challenges of the contemporary political and social environment. Director of the pan-Arab Centre of Arab Women for Training and Research (CAWTAR), Bouraoui is a Tunisian visionary and activist who knows how to turn grassroots talent into action for democracy. “In the wake of Tunisia’s Arab Spring,” she said, “women and some men rose up to start or expand about 2,000 grassroots groups to promote social, economic and political development. We moved in to support them,” she said. Created in 1993, CAWTAR is educating mostly women around issues of democracy and community development primarily in Arab Spring countries. “We also do research to help decision-makers pass legislation sensitive to the situation of women,” she said. The results of CAWTAR’s work in Tunisia were clear at a training workshop for 25 women and a handful of men. Hager Farhoud, a university professor in statistics, is treasurer of an organization called Touissiet that started with 20 people, including university professors, lawyers, doctors, teachers and entrepreneurs. Using the skills of members who are doctors and lawyers, Touissiet helped female refugees who had been raped and fled Libya during civil unrest. “Later, we met with a group of Salafist-supported university women who wanted to wear face-covering niqabs to class despite university policy,” Farhoud said. Another example is Sana Hajlaoui, who has a degree in finance and accounting. She was co-ordinating a centre in an impoverished Tunis neighbourhood for young women who had been pulled out of school for marriages that never materialized. “They were kept at home in an area where there was delinquency and abuse of alcohol and drugs,” said Hajlaoui, who is married and has a six-year-old daughter. 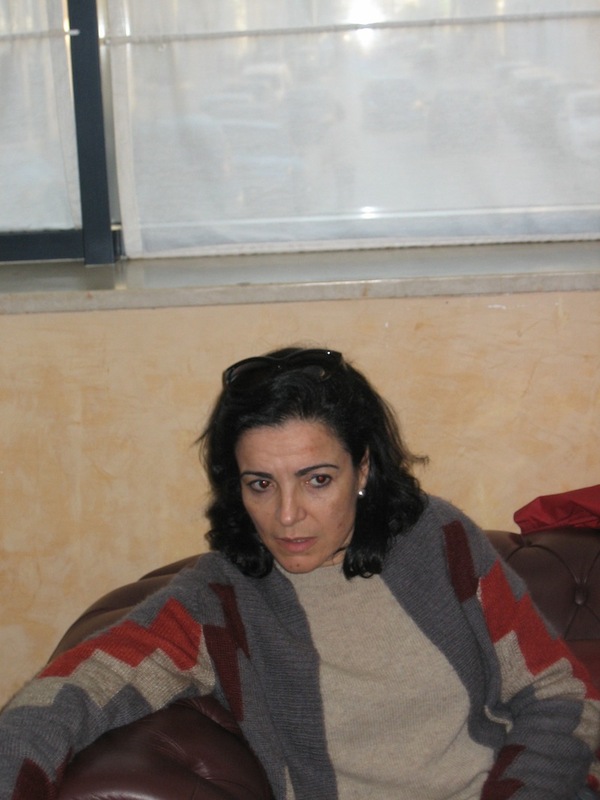 When the vulnerable are under attack and rights are threatened, Bel Haj Hamida, a lawyer and co-founder of Amnesty International Tunisia and the Association des Femmes Democrates, is out front and fighting. Under the women’s rights association, she set up a centre for women in trouble and used the courts to save them from assault and forced marriages. Later, she succeeded in pressuring the government to pass legislation against sexual harassment. Last September in Tunis, after stopping a man and woman in a parked car, police raped the woman. When she lodged a complaint, the police charged her with indecency. Bel Haj Hamida took on the woman’s defence and the charge was dropped. “There have been many cases of sexual, moral and financial harassment of women by officers since the Islamist government came to power in October 2011,” she said. The main task of the National Constituent Assembly was to write a new constitution. 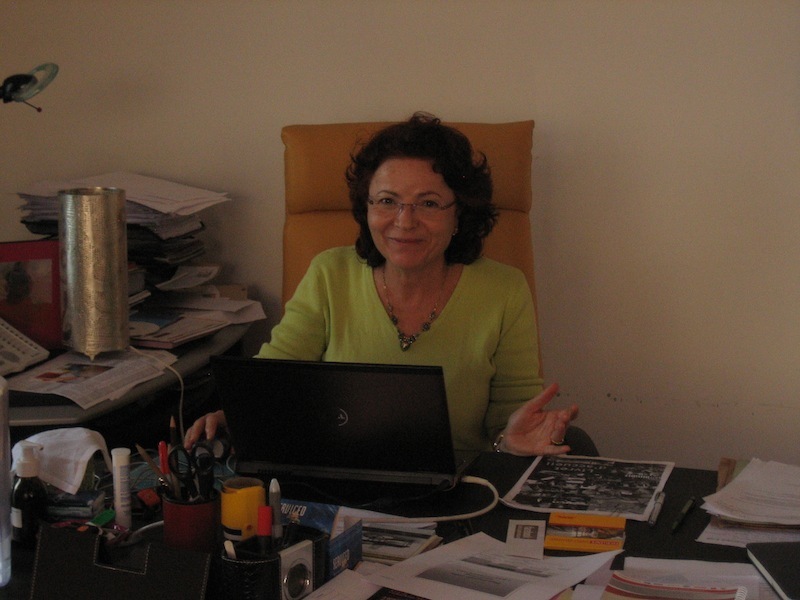 When Bel Haj Hamida saw Ennahdha’s misogynist leanings, she led a coalition of NGOs that made proposals on gender, economic and social rights for the new constitution. This contributed to preventing Shariah law from being written into the document. “Other groups are also under assault,” she pointed out. To defend members of the media, union workers, artists and actors from various forms of persecution, Bel Haj Hamida joined a consortium of lawyers. One of the most celebrated cases concerned a TV station owner arrested because he aired the award-winning film Persepolis, which had offended fundamentalist Muslim Salafists. He got off with a fine. As Tunisia heads toward an election, possibly at the end of this year, Bel Haj Hamida is working with opposition parties getting ready to challenge Ennahdha. This article was originally published in the Montreal Gazette on Aug 26, 2013.